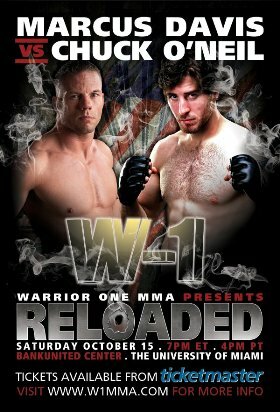 W-1 MMA 7: Reloaded Card Sees Changes but Still a Banger! After a year layoff Toronto-based mixed martial arts promotion Warrior 1 is set to stage their seventh event, "Reloaded". The event, which will take place on October 15th in Miami, marks the organization's first show in the United States. The card saw some changes in the main event slot as former UFC heavyweight title contenders Jeff Monson and Gabriel Gonzaga were originally scheduled to face off. Now that Jeff Monson has dropped from the card, a bout pitting New England welterweights Marcus Davis and Chuck O'Neil has been bumped to main event, while Floridians Luis Palomino and Edson Berto will scrap in a lightweight co-main event battle. Warrior One MMA is pleased to announce the exciting addition and new co-main event bout between top-rated Miami lightweight Luis "Baboon" Palomino and his Orlando counterpart Edson "Little Tiger" Berto. This match was originally to happen under the Bellator banner. Through good relations and working closely with many of Bellator's counterparts, Miami fans will now experience this explosive matchup close to home with W-1. After the disappointing news that Jeff Monson had to withdraw from the bout with Gabriel Gonzaga, Marcus "The Irish Hand Grenade" Davis, moves to main event status as he takes on fellow Massachusetts native and TUF/UFC contender Chuck "Cold Steel" O'Neil. Presented for Fox Sports Net, this nationally televised epic battle promises to live up to the hype as it replaces the former main event. 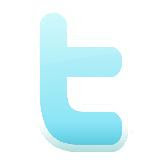 Mr. Gonzaga will now headline the next W-1 event on February 25, 2012. Included on this star-studded W-1 card is middleweight star and MMA-Masters standout Valdir "BBMonster" Aruajo, making his official W-1 debut against perennial contender Mike "El Gringo Diablo" Bernhard. This long-awaited matchup promises to be the Fight Of The Year. Additionally featured is 6-1 welterweight John Manley of Team Link in Massachusetts will take on 4-2 American Top Team (ATT) alumni Sabah Homasi. 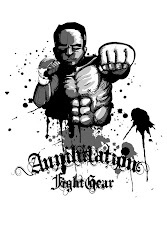 Lone Canadian and 4-2 W-1 veteran Tom "the Bomb" Waters and South Florida MMA Academy's Alan Arzeno will battle for North American bragging rights. Rounding out the main card will be JP Rees (ATT) vs. Taylor Callens, Nathen Coy (ATT) vs. Anderson Melo (Guerreiro Team), Bruno Reis Da Maria vs. Kenny Moss (Fighters Quest), Joe Watson vs. Frank Carrillo (MMA-Masters). W-1 is pleased to announce the first female fight in its history, as one of the world's most famous female fighters, Kim "Sugar Free" Couture, will take on ATT instructor Suzie Montero, in her long-awaited MMA premier. Kim is coming off a controversial loss to Sheila Bird and plans to make an example of Suzie, a stand-up specialist vying to make a name for herself in this MMA debut. W-1 MMA 7 - Reloaded: "Gonzaga vs. Monson"